Venice is the most enchanting and fascinating city in the world, in the evening at dusk as the moon is reflected in the waters of the canals, or at dawn when the early light illuminates its red roofs. Venice is immersed in the water, built on the water, and water is its vital element. 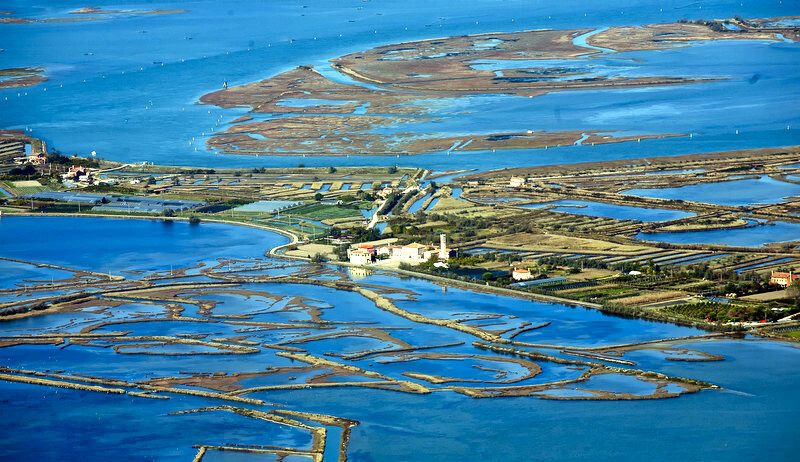 The Venetian lagoon, formed almost six thousand years ago, is one of the largest in the Mediterranean. It has developed a rich vegetation and a multitude and variety of animal species. To experience its beauty you must go out to the islands that, like a beautiful mosaic, compose the estuary of Venice. In this section, we recommend that you leave mass tourism behind you and dedicate yourself to exploring the natural landscapes that will reveal the true essence of the city. These itineraries are complementary to the inestimable artistic legacy of Venice, and can offer a day of sports, fun, tranquility and relaxation, surrounded by nature, for a unique experience that is physically beneficial. There are places to be visited on foot, others by means of Actv public transportation, or better yet renting a bicycle or a boat. Discover the nature reserves, the marshlands, the fishermen, immersed in a silence that will hardly seem natural. Excursions on sailboats or in kayaks, bicycle tours, nature walks and trekking, cruises on public transportation or on traditional boats, golf and horseback riding. We will accompany you on nature walks, from hidden beaches to islands of meditation.